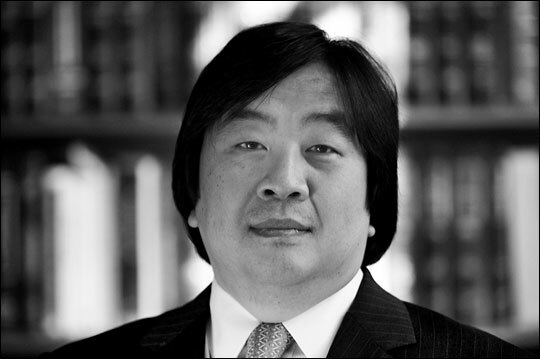 The Bright Lights of Freedom Yale Law School Dean Harold Hongju Koh's parents fled a dictatorship in Korea to raise their family in the United States. Their story, and his own work for the State Department, inspired Koh's belief in freedom. 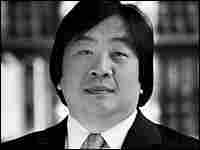 Harold Hongju Koh is Dean of Yale Law School, where he teaches human rights and international law. From 1998 to 2001, he served as Assistant Secretary of State for Democracy, Human Rights and Labor. Born in Boston, Koh is a lifelong Red Sox fan. I believe that freedom is contagious. My parents were born in South Korea and came here more than 50 years ago. They came for the education and for the freedom. They grew up under Japanese colonial rule, forbidden to speak Korean or even to use their Korean names. When their country was divided after World War II, my mother and her family were trapped in North Korea. In desperation, they hiked for days to the border to be picked up and brought back to Seoul. But even there, they lived under dictatorship. For less than a year in the 1960s, Korea enjoyed democracy and my father joined the diplomatic corps. But one day, tanks rolled and a coup d'etat toppled the government, leaving us to grow up in America. My father savored freedom like he savored fresh air. He loved the freedom to follow his passions: for John F. Kennedy, for Fred Astaire, for Ted Williams. Driving down the road, he would turn and exclaim: "This is a great, great country. Here, we can do what we want." During the summer that Nixon resigned, I was visiting Seoul. Someone tried to assassinate Korea's president and he declared martial law. I called my father and marveled that Korea had never enjoyed a peaceful transition of government. Meanwhile, the world's most powerful government had just changed hands without anyone firing a shot. He said, "Now you see the difference: In a democracy, if you are president, then the troops obey you. In a dictatorship, if the troops obey you, then you are president." And so I studied law, became a law school professor and dean, and eventually a human rights official for the State Department. I traveled to scores of countries. Everywhere I went -- Haiti, Indonesia, China, Sierra Leone, Kosovo -- I saw in the eyes of thousands the same fire for freedom I had first seen in my father's eyes. Once an Asian dictator told us to stop imposing our Western values on his people. He said, "We Asians don't feel the same way as Americans do about human rights." I pointed to my own face and told him he was wrong. As my time in government ended, I traveled to North Korea. In the eyes of everyone -- children, workers, government officials -- I saw the lifeless, unfocused stares I had first read about in Orwell's 1984. I saw people whose aspirations had been crushed by a government that would not provide for their most basic needs. As we flew out of a darkened Pyongyang, I looked down to see where my mother had crossed the border so many years ago. As we approached Seoul, suddenly the landscape glowed with millions of lights. I realized that the only differences between the bright futures to the South and the dark futures of the North were the governments that ruled them. That is why I believe in the bright lights of freedom.